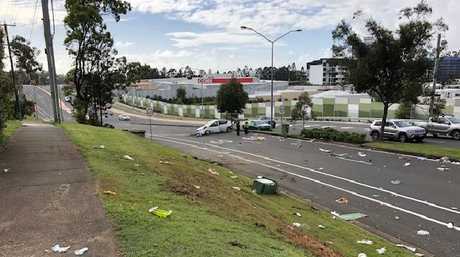 UPDATE: A NURSE who was stabbed several times during a terrifying armed abduction on the Gold Coast early this morning ran to rescuers covered in blood and pleading for help after surviving a car crash. The 25-year-old male nurse is in hospital after being taken at gunpoint from Pindara Hospital at Benowa, stuffed in a boot and forced to withdraw $500 from an ATM before being stabbed and beaten. He was found crawling out of the wreckage of his car after his kidnappers crashed on Kurrambee Avenue at Ashmore just before 5am. His attackers then fled in a stolen white Prius and rolled the car moments later in a nearby street. A manhunt continues for two of the three men who allegedly were involved in the abduction, with one already in custody. Witness Samantha MacDougal said she and her family were woken to people fighting on the street before a car suddenly smashed into their fence. "I got up and looked out the window, there was a man covered in blood saying, 'can you help me? '," she told the Gold Coast Bulletin spreading her arms wide as if begging for help. "I feel terrible I thought it was a drunk driver at first, I have three kids." Ms MacDougal said she went outside to help the male nurse who was badly injured. 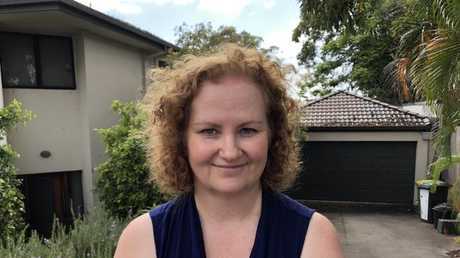 She said he couldn't tell her his name at first but recounted the story that a group of four men put a gun to his head before kidnapping him as he was taking a break from his nursing shift at Pindara Hospital. He told Ms MacDougal they took his phone, his wallet and forced him to withdraw $500 from his bank account. He was then stuffed into the boot of his own car before they drove him to Kurrambee Avenue in Ashmore where the car slammed into a fence. 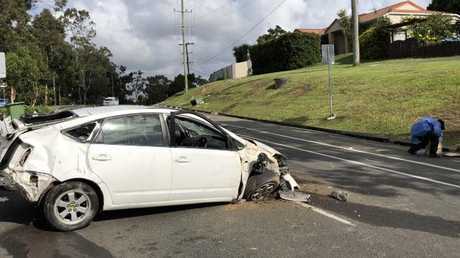 The men then allegedly fled in the white Prius, eventually crashing it on Ashmore Road in Ashmore. Ms MacDougal said the man had several stab wounds, including a serious one to his chest. She called a friend for the man and he was taken to hospital by ambulance. At 4.45am police were called to a crash at Ashmore Road where a car had rolled over. Knives were found in the wreckage. Ashmore Road resident Glenn Campbell said his family heard a loud bang before going outside to investigate. "(The alleged offender) flung a knife into the grass and just kept saying where's me mate? ", he said. Mr Campbell said the man who got out of the car was injured and bleeding from his head as well as his spine. Mr Campbell's daughter Ebony called emergency services. Mr Campbell said he believed he saw another man walking away from the scene in a hurried manner and on his mobile phone. He said the man involved in the crash "didn't look well" and had been lying in the gutter in a foetal position and "might have been off his head." Mr Campbell said he tried to turn the car off, but couldn't and left it as it started smoking. The alleged offender then allegedly tried to leave the scene before giving passers-by the finger. 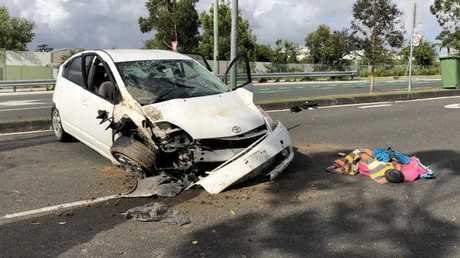 A homeowner at the street told Sunrise this morning: "At first I thought it was a drunk driver. I came out to render assistance. We realised he was really badly hurt. He said that he'd been robbed at gunpoint by four men ... he was just in shock, he couldn't even tell me his name." The men then took off in a car believed to be a Toyota Prius. Police captured one of the men in the nearby Mingaletta Drive after calling in the dog squad and he is now assisting police with their inquiries. At least two other men are believed to be on the run. Police have closed the road and motorists have been urged to avoid the area. They continue their search for the men. EARLIER: A MANHUNT is underway on the Gold Coast following a disturbing abduction in the early hours of this morning. 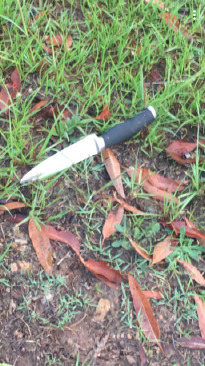 At around 4am a 25-year-old male nurse from Pindara Hospital was on a break and was walking to his car when he was allegedly approached by at least three men in balaclavas with a knife and handgun. The men then forced him into the boot of his own car which was then taken to an ATM at Parklands Drive at Parkwood and forced him to withdrawn $500. The nurse was then beaten and slashed with a knife before being put back in the boot. At around 4.20am the car crashed into a fence at Kurrambee Ave.
At 4.45am police were called to a crash at Ashmore Road where a car had rolled over. Knifes were found in the wreckage. "(The alleged offender) flung a knife into the grass and just kept saying where's me mate?" He said. Mr Campbell said the man who got out of the car was injured and was bleeding from his head as well as his spine. His daughter Ebony called the emergency services. He said the man involved in the crash "didn't look well" as he had been lying in the gutter in a foetal position and "might have been off his head." The alleged offender then allegedly tried to leave the scene before giving passer-bys' the finger. 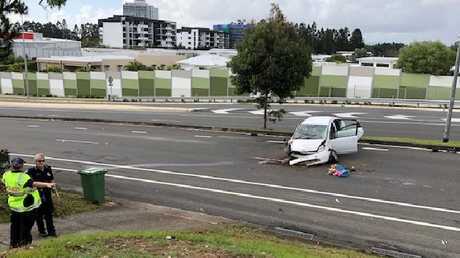 EARLIER: A MANHUNT is underway on the Gold Coast after at least two people fled the scene of a crash this morning. Police are searching for at least two people following the crash on Ashmore Road near Girraween Grove around 4.50am. There were believed to be three people in the car and all left the scene, though police have since caught up with one of the men. Police believe the 'vehicle may have been linked to earlier incidents'.